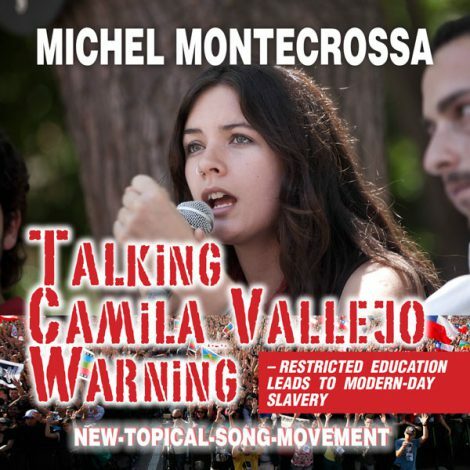 ‘Talking Camila Vallejo Warning – Restricted Education Leads To Modern-Day Slavery‘ released by Mira Sound Germany on Audio Single and DVD, is Michel Montecrossa’s New-Topical-Song in support of the marathon-protest of ten thousands of students in Chile for free education and the young future of the country. Education in Chile as well as in all parts of the world has become a target for shameless profit-making as has the hunt after land, water, food and energy resources – a hunt that creates future fear, poverty, slavery and a free world only for the rich. “In Chile the students are fighting for their future. A marathon-protest of ten thousands is taking to the streets. It’s a protest against expensive private universities, expensive private schools and against thousands of dollars which the students have to pay for five years of study and fifty years of debt-payment. Education in Chile as well as in all parts of the world has become a target for shameless profit-making as has the hunt after land, water, food and energy resources – a hunt that creates future fear, poverty, slavery and a free world only for the rich. Modern-day slavery comes through restricted education wanting to keep the intelligent poor out of power. The modern-day slave of the rich is the undereducated, underpayed or not at all payed worker. The world knows Chile’s Camila Vallejo for taking a stand for free education and for the young future of the country. Camila Vallejo is Warning hard-line politos that violence is rising if they show no mercy, no understanding. Unfair systems of education are there all over the earth. / They are driven by the old and the dangerous. / And the young are there too all over the earth – / most of them need free education. / I‘m a-talking Camila Vallejo Warning. / Yes, I am talking Camila Vallejo Warning. In Chile the students are fighting for their future. / A marathon-protest of ten thousands is takin‘ to the streets. / There are expensive private universities, expensive private schools. / Thousands of dollars you have to pay: The dollars you don‘t have! / I‘m a-talking Camila Vallejo Warning. / Yes, I am talking Camila Vallejo Warning. Camila Vallejo takes a stand for the students. / The world knows her and she‘s talking warning. / Five years of study and fifty years of debt-payment / means future fear, poverty, slavery and a free world only for the rich. / I‘m a-talking Camila Vallejo Warning. / Yes, I am talking Camila Vallejo Warning. Modern-day slavery comes through restricted education. / The modern-day slave is the undereducated, underpayed or not at all payed worker. / The rich want cheap working hands and costly education, controlled by them, / for the rich help the rich, want to keep the intelligent poor out of power. / I‘m a-talking Camila Vallejo Warning. / Yes, I am talking Camila Vallejo Warning. Camila Vallejo is warning hard-line politos / that violence is rising if they show no mercy, / no understanding. / I say, intelligence and love are God‘s freedom gifts / for all humanity. / That‘s why education must be free everywhere / for humanity to unfold. / I‘m a-talking Camila Vallejo Warning. / Yes, I am talking Camila Vallejo Warning. 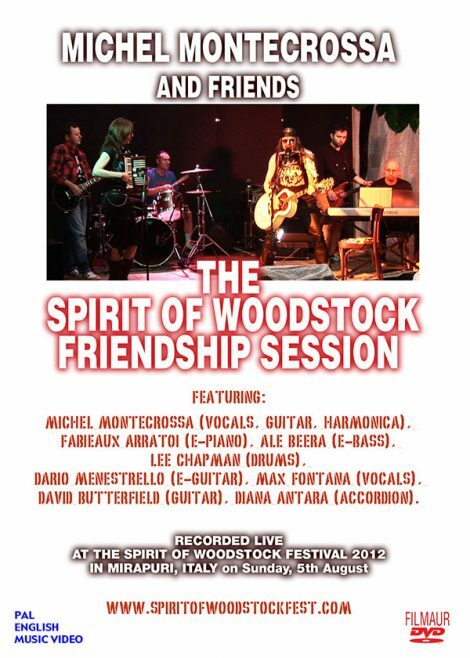 The ‘The Spirit of Woodstock Friendship Session’, released by Mira Sound Germany on DVD, was recorded live during the concluding concert of the Spirit of Woodstock Festival on Sunday 5th August 2012 as a celebration of its 20th birthday. The premiere of Michel Montecrossa‘’s Non-Violence Topical Music Video For His classy performance of Bob Dylan‘s Song ‘Duquesne Whistle’ will take place on September 10, 2012 at the Mira Sound Germany and Filmaur Multimedia House in Gauting near Munich, at 16:00 during the press conference for the release of Michel Montecrossa’s Michel & Bob Dylan Fest 2012. Michel Montecrossa’s performance of ‘Duquesne Whistle’ from Bob Dylan’s new CD ‘Tempest’ is released by Mira Sound Germany and Filmaur Multimedia as bonus video for Michel Montecrossa’s 3 CD-set of the ‘Michel & Bob Dylan Fest 2012’. 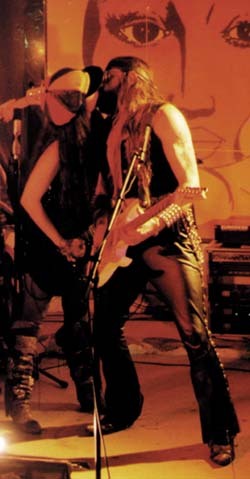 The movie is directed by Michel Montecrossa and produced by Mira Sound Germany and Filmaur Multimedia. 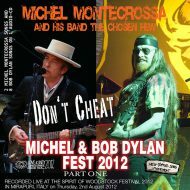 Michel Montecrossa’s Michel & Bob Dylan Fest 2012 recorded live during the Spirit of Woodstock Festival 2012 in Mirapuri, Italy, is released by Mira Sound Germany as 3 Audio-CD plus 1 Bonus DVD set with the album titles ‘Don’t Cheat’, ‘Bouncin’!’ and ‘Coffee And Sandwich Blues’ presenting the outstanding performances of 13 Michel Montecrossa songs and 17 Bob Dylan songs by Michel Montecrossa and his band The Chosen Few at the legendary Spirit of Woodstock Festival in Mirapuri, the City of Peace and Futureman in Europe, Italy which celebrated its 20th birthday. The Bonus DVD features Michel Montecrossa’s non-violence topical music video ‘Duquesne Whistle’. The songs; Part 1: Talking Big Festival Waves; East Orange, New Jersey; Love Rescue Me; Coming From The Heart; You Belong To Me; Go ‘way Little Boy; The Wandering Kind; Jesus Is The One; Don’t Cheat; Am I Your Stepchild? ‘The Michel & Bob Dylan Fest’ is, with the personal approval of Bob Dylan, since 2001 a festival event taking place every year at the Omnidiet Resort and Business Hotel in Mirapuri, Italy. It took place in 2012 for the 12th time. 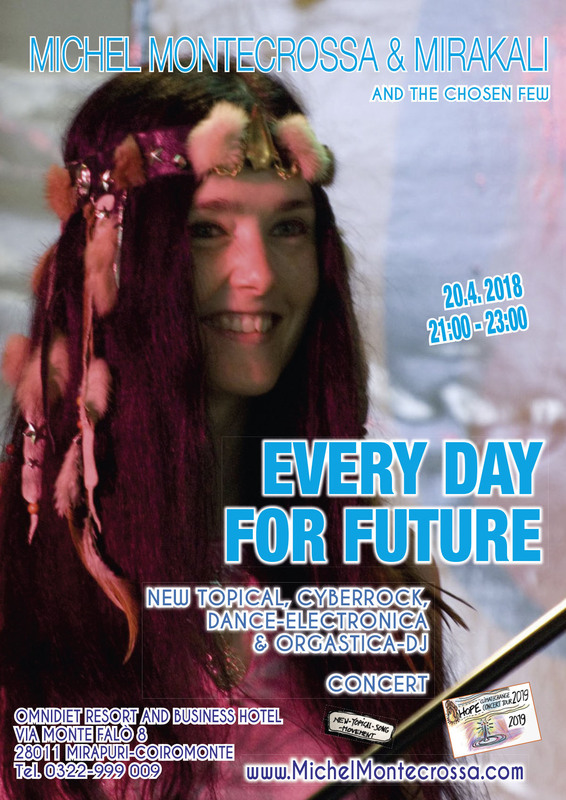 ‘The Michel & Bob Dylan Fest’ brings together the outstanding song work of Michel Montecrossa (www.MichelMontecrossa.com) and Bob Dylan, forming a great masterpiece of art that equally reveals the treasures of the past and the wide and stunning reaches of the future. 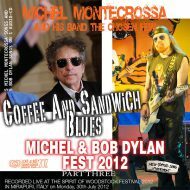 The Michel & Bob Dylan Fest recordings include covers of all official released original songs by Bob Dylan and many rare and unreleased songs, traditionals and songs of other artists which Bob Dylan sings at his concerts as well as lyrics by Bob Dylan with the music of Michel Montecrossa. 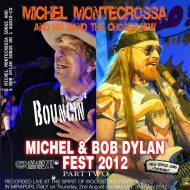 Michel Montecrossa by now has recorded 481 Bob Dylan songs which are all available on Audio-CD and DVD from Mirapuri-Shop as well as from Apple iTunes music-store and other online services. 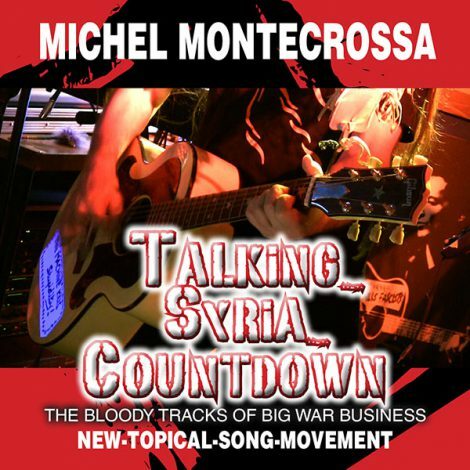 Michel Montecrossa himself has written and recorded more than 2200 original songs available on Audio-CD and DVD from Mirapuri-Shop as well as from Apple iTunes music-store and other online services. 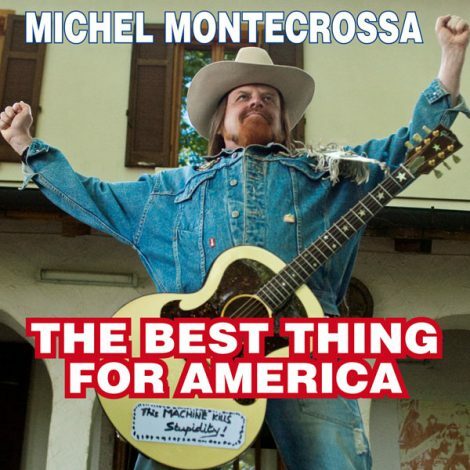 ‘The Best Thing For America‘ Michel Montecrossa’s New-Topical-Song-Movement Audio Single and DVD released by Mira Sound Germany dedicated to Barack Obama’s second term and America’s way to World Unity. The Best Thing For America is Obama’s second term. / He is a rare politician knowing humanity. / He can lead the nation on the right way. Time is short and the way is long. / For doin’ great things you have to be young. / To stand for peace and unity you have to be strong. America has problems, it don’t have to be so / if America is a-doin’ what destiny wants. / Destiny, my friend, wants peace and wants unity. The United States of America / want good money and want good work / for all the good people in this good land. When gold is at a record high / and the Arab world is awakenin’ / it’s time to think about achieving Human Unity. Tornado outbreak in America, / clash of opposition groups, / protest and unrest and the violent storms, / hail of bullets and cruel war zones. The United States of America / have a mission to fulfill: / I say, they must take the lead on the way to Unity. The United States of Planet Earth / are the freedom goal ahead / bringin’ fair and equal wages everywhere / and good work and peace for all. through the work-force of us all.